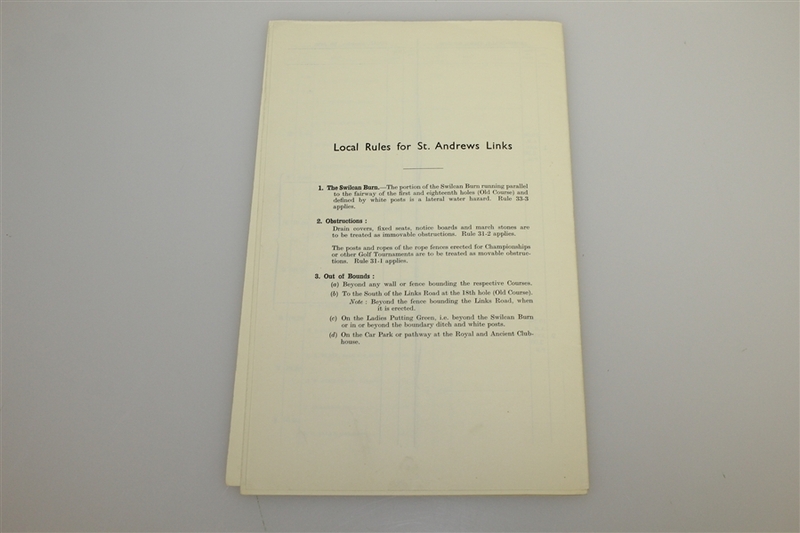 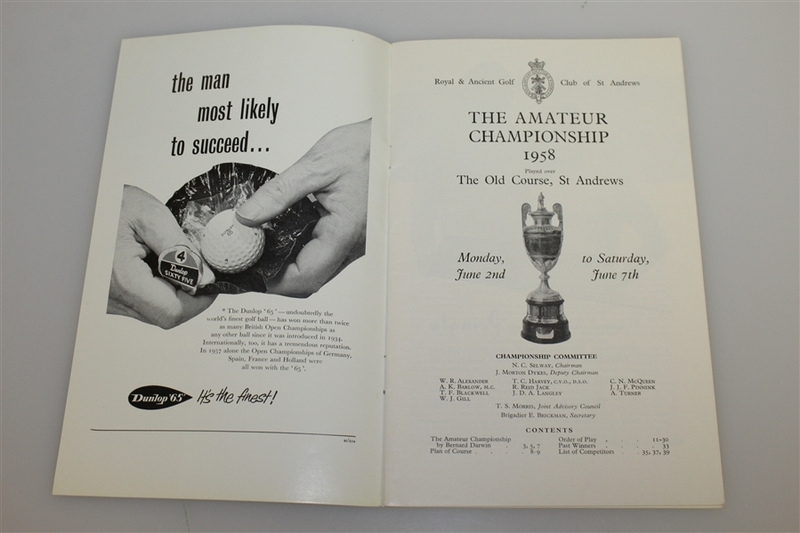 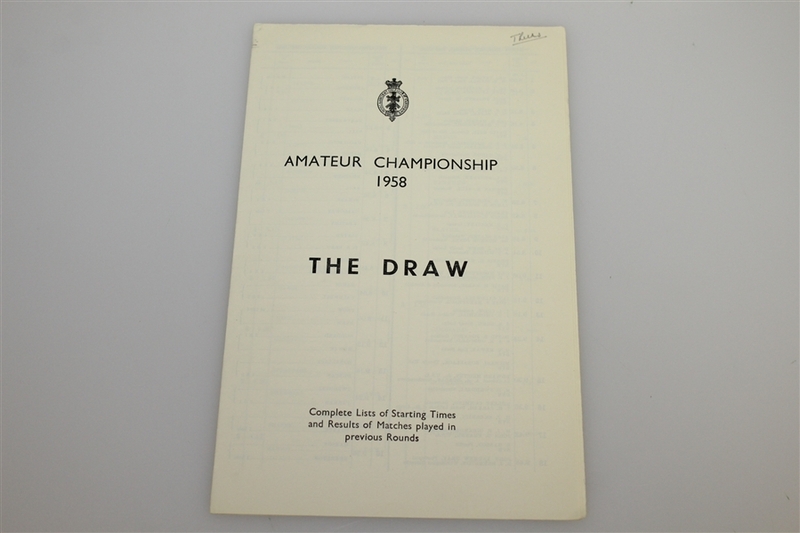 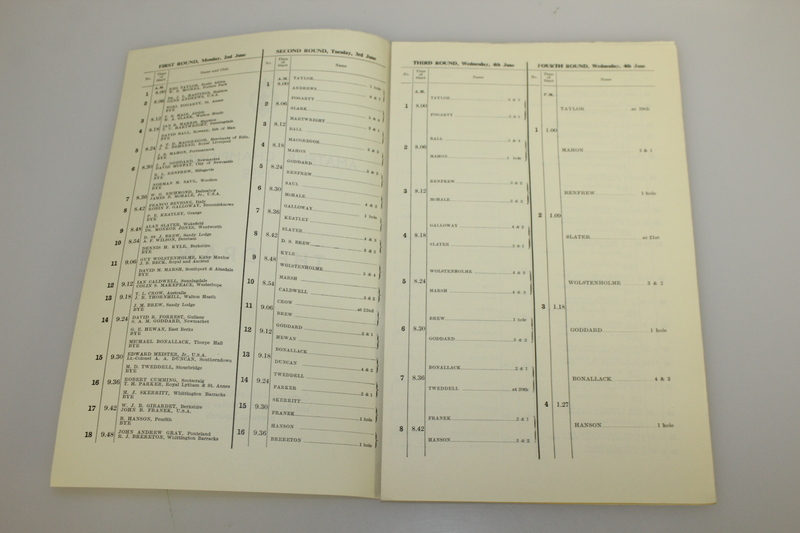 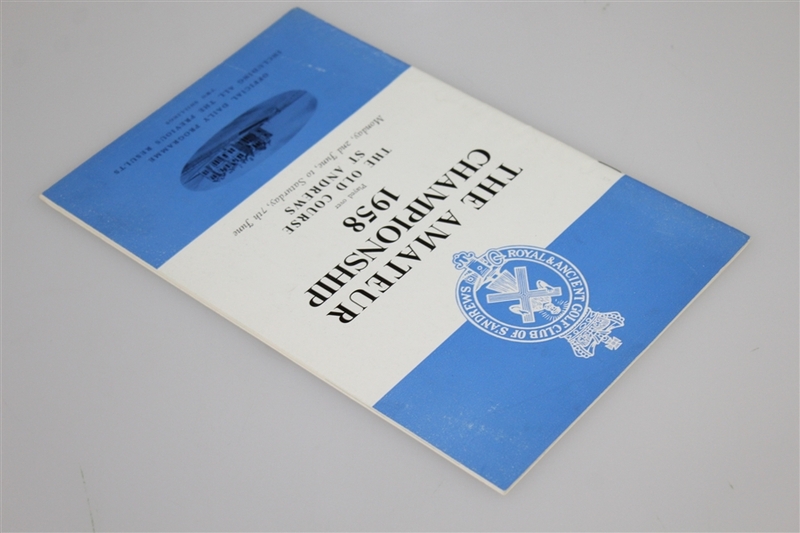 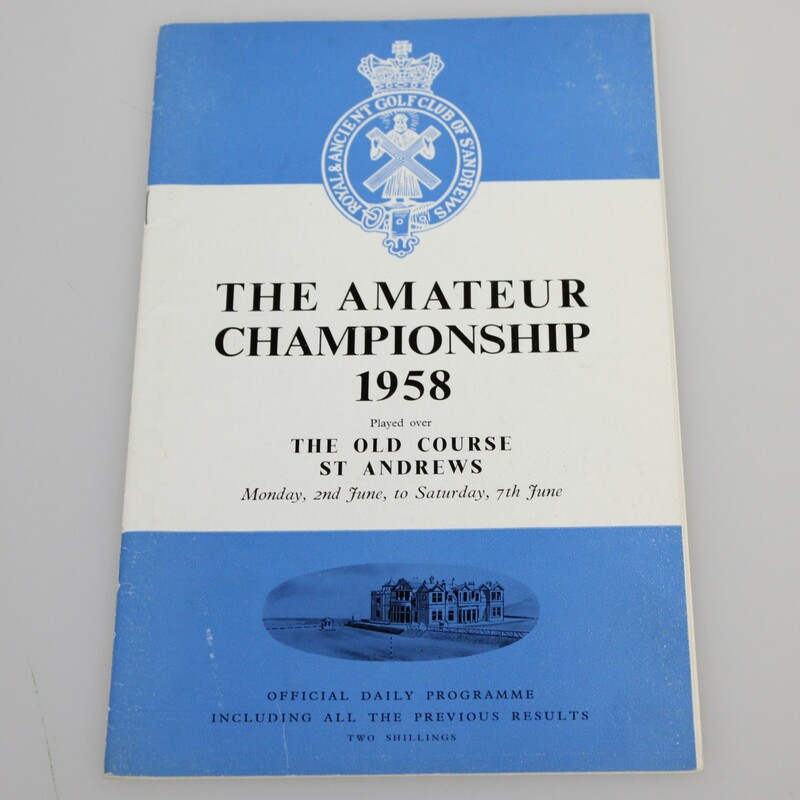 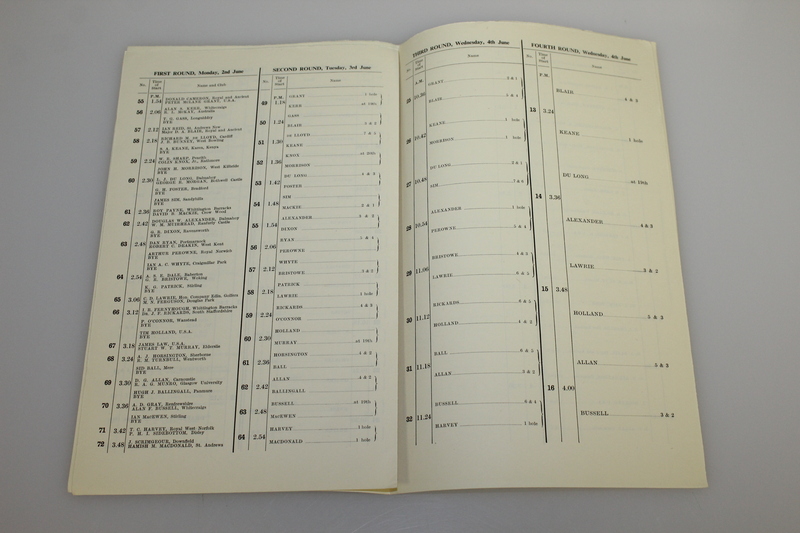 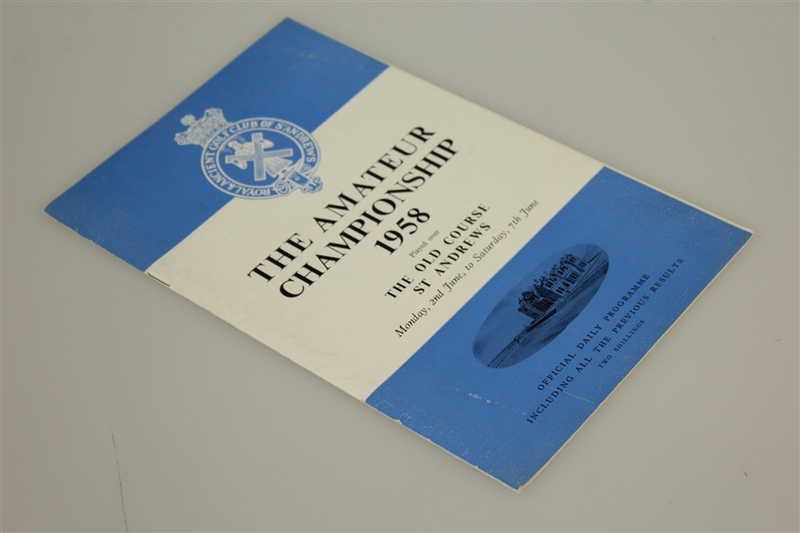 Offered here is a program from the 1958 British Amateur at the Old Course at St. Andrews. 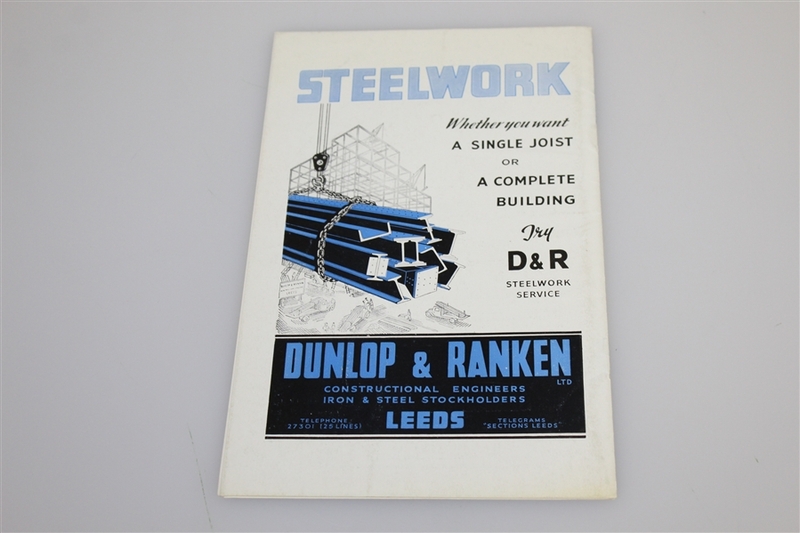 Noting for accuracy there is a scratch mark to the bottom front cover, otherwise in good condition. 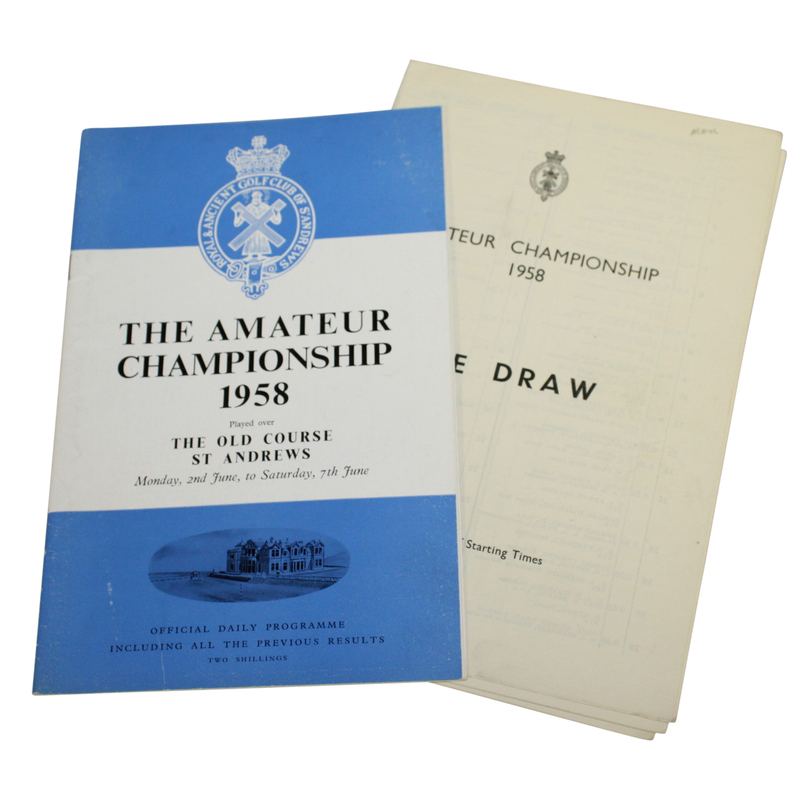 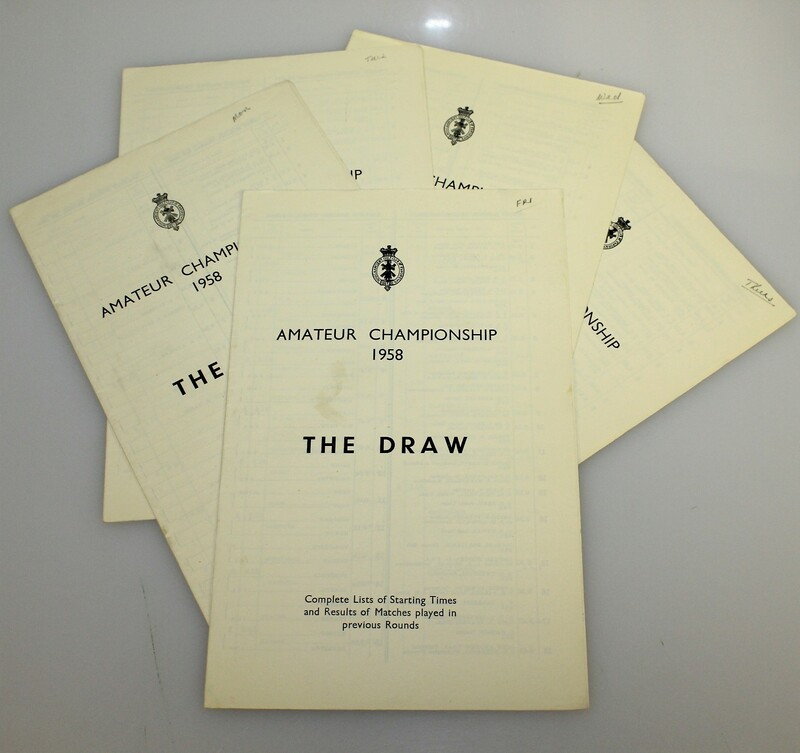 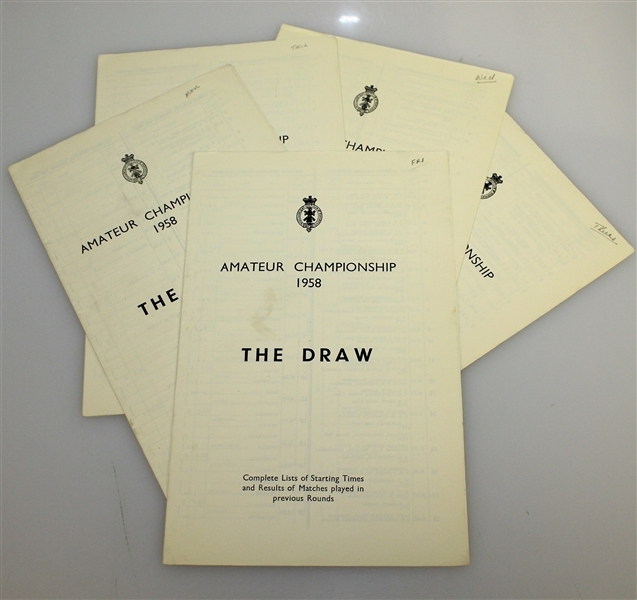 Hosted by St. Andrews, the 1958 British Amateur championship saw the Irish golfer Joe Carr defeat Alan Thirlwell 3 & 2 to win his second of three British Amateur Championships.